Love the car show one! :) Looks like you had a great week! I love iphone pictures, too. I use my big camera a lot, so I just gave Jason use his iphone for our weeky pictures. I wish I knew where I could get instagram pictures printed. I love watching baby birds grow. So sweet! Oh my gosh....what a beautiful shot of those baby birds!!! Looks like a wonderful week! I can't believe how much those baby birds have changed in just a week! Beautiful photos. Love the baby birds! And all the pictures of family. I take camera phone pics all the time, it's always handy. Looks like a great week! That cake looks sooo yummy! Love the birdies too :) Fun week! Gorgeous shots as always. Love the three in top left. Thanks for linking up. 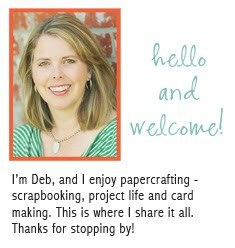 Deb- so many things I love about this post. 1- Love going to car shows. So many great opportunities for awesome photos. 2- fabulous cake & 3- your new photo in the sidebar. Beautiful! Those birds are so sweet and that cake looks yummy! Great photos, the baby birds look so cute in their nest. Love that photo of the Red 65 Mustang! it was a 65 yes?! My sister owned a 65 Gold Mustang! it hit black ice... =( sad day.